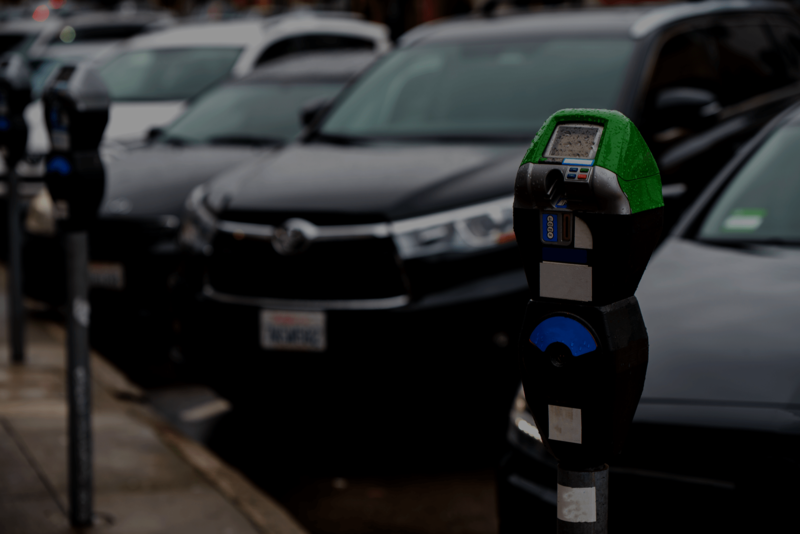 Here’s how city officials can implement smart parking solutions that generate financial, operational, and environmental value. Most people know how frustrating it is to circle the block or wander through a parking lot searching for that coveted spot. What they might not realize, however, is that parking challenges can have real consequences for local citizens, businesses, and government. To help increase the quality of life in cities, public officials are looking for sustainable solutions to streamline parking. In fact, 42% of respondents in an International Parking Institute survey reported that the demand for smart parking systems was one of the industry’s top emerging trends. Smart transportation technology, including connected parking meters and sensors, has the potential to increase efficiency and make cities more attractive places to live and work. The technology is ready to be implemented today — but the key to truly innovative solutions is an integrated platform that brings together different devices and data streams in order to enable real-time decision-making. How Does Smart Parking Work? In a typical downtown area, 30% of traffic is made up of cars looking for a parking spot. This causes congestion, delays for other drivers, and inefficiency as hard-to-find spaces go unused. 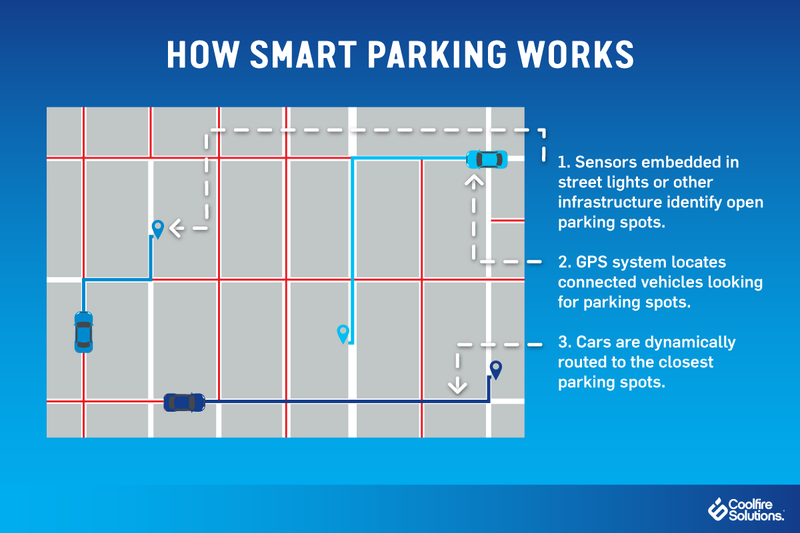 With in-ground sensors or mounted cameras, smart parking solutions can determine the parking spots that are occupied or available — and dynamically route traffic into parking spots (and off the road). The Internet of Things (IoT) allows these devices to communicate with one another and transmit data back to a central platform. Information is collected from different sensors and then combined to create a real-time parking map. Drivers can easily access this map through an application on their mobile phones to find open parking spaces. Law enforcement and parking control officers can also benefit from smart parking data, which allows them to better monitor traffic and more quickly locate parking violations. When parking is inconvenient or hard to find, people may avoid a particular area altogether — a phenomenon that can negatively impact local businesses who rely on a steady flow of traffic to attract customers. Parking challenges can lead to revenue losses for local businesses, forcing them to relocate or close their doors for good. Municipal governments can also bear the burden of inefficient parking management. Cities rely on tax revenue and fees to support and protect residents, but one study estimates that only 5% of parking violations are actually cited. This means that cities lose out on valuable revenue they could use to support and protect residents. Smart parking offers solutions to both of these problems. For drivers, a smart parking app could send an alert when their parking meter is about to expire, allowing them to pay for more time on their mobile phone. This would provide additional revenue for the city (making up for the violations that are never reported), as well as help citizens avoid the inconvenience of a parking ticket. The increased traffic is likely to benefit local businesses, who can continue to enjoy a steady stream of visitors. Smart parking could also help law enforcement quickly identify high-risk violations such as cars illegally parked in handicapped spots or next to fire hydrants. With the help of an integrated data platform, parking control officers could locate and remove these obstacles before they cause further problems. The real benefit of smart parking technology, however, is its potential to drive innovation. By examining historical parking and traffic data, city officials can determine ways to reduce congestion and fill empty spaces. Decision-makers can adjust daily or hourly rates and maximum parking times in order to optimize resources. For example, to free up downtown parking spaces, the city could implement a park and ride system for suburban commuters. By allocating certain spots for all-day parking and then providing a bus service into the city center, officials could limit city traffic and provide a convenient public transportation alternative. In addition to the financial and logistical benefits, the data collected by smart parking sensors can help cities lead the way toward a more sustainable future. When cars are able to quickly locate a parking spot, they spend less time driving around. This can help reduce pollution and its associated health conditions, making for a more livable downtown space. Sensors can also be used to monitor environmental conditions like temperature and noise levels — information that can be used to further improve city conditions. The increased revenue generated from smart parking apps and parking tickets can be directed toward infrastructure improvements and other smart city initiatives like city-wide communication through screens that transmit emergency alerts and local announcements. Finally, by using a smart, connected platform to manage smart parking solutions, public officials and analysts will be able to examine relevant city data all in one place. This easily-accessible information can be used to inform policy decisions and improve the quality of life for all citizens. Cities and towns around the world are using smart parking technology to address the unique needs of their communities. One German city, Bad Hersfeld, has already benefited from a streamlined parking initiative initiated by the mayor, Thomas Fehling. “Our goal was to increase the quality of life for visitors coming into our city and for the people who call this home,” Fehling said. His efforts have helped decrease traffic congestion, especially during the town’s annual opera festival. Smart sensors installed on light poles guide drivers to open parking spots, which means that there are less cars on the road searching for spaces. This has helped Bad Hersfeld reduce carbon emissions and direct visitors to the city center, where local businesses benefit from the influx of tourists. When implemented through a connected data platform, smart parking technology has the potential to generate a high return on investment. Some cities are even able to increase parking revenue by 20-30%. Plus, with easy-to-integrate infrastructure, the initial cost of smart parking remains manageable. However, an intelligent platform that ties a city’s various systems together is key to the continued success of IoT parking solutions. Data from sensors, cameras, mobile apps, and management software comes together into a single dashboard, improving drivers’ experience and empowering officials to make important real-time decisions. As more and more citizens continue to flock to cities, smart parking technology — and the connected system to manage it — will help transform the way people interact with their communities. By generating new revenue, optimizing law enforcement operations, and lowering environmental impact, smart parking solutions can help attract new visitors and improve the quality of life for residents.